An 8-inch water line broke on Sunday morning in the 200 block of Sandpiper Avenue, making it the fifth water main break in the past two years along the same stretch of road, said officials with Palm Beach County Utilities. 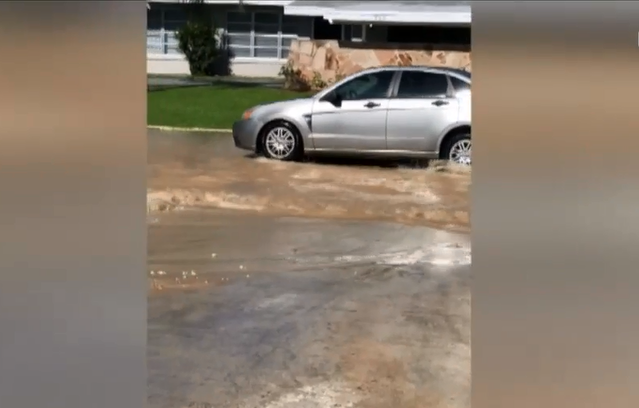 Complaints are piling up in a Royal Palm Beach neighborhood after another water main break. An 8-inch water line broke on Sunday morning in the 200 block of Sandpiper Ave., making it the fifth water main break in the past two years along the same stretch of road, said officials with Palm Beach County Water Utilities. “It's kind of getting annoying because it's like happening almost monthly now,” said Sarah Chamberlain, who has lived in the neighborhood for 18 years. The repairs have been completed for the latest break, which happened right outside Frank Alvarez's home. "So all of a sudden I found myself with waterfront in the back and waterfront in the front," said Alvarez, who added the break also caused his driveway to cave in. "If the water would have gone all the way into my house it could have collapsed." The neighborhood remains on a boil water advisory. Neighbors say it’s a major inconvenience, and are now asking questions as to why this keeps happening. In July, Chopper 5 was over the same neighborhood for a water main break only two houses away. It also happened outside Chamberlain's house. 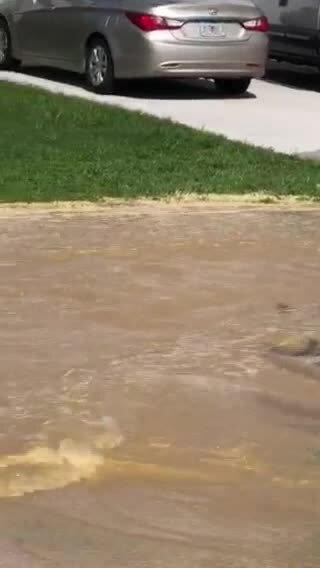 "We had two in our driveway, so it sunk in deep twice and they just fixed a tiny pipe," Chamberlain said. Officials with Palm Beach County Water Utilities said they have noticed a pattern, and the water distribution system will be replaced. The project has been moved up in their five-year capital improvement plan.